Anne Mackin earned her Master’s degree from Harvard’s Graduate School of Design and, over the next few years, worked as a senior planner in Massachusetts government and co-authored several booklets on urban design principles. 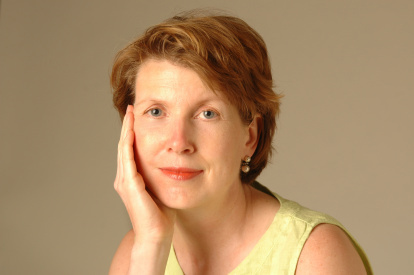 Later, she contributed 50 short essays to the regionally popular Mapping Boston (MIT Press, 1999), and published articles in The Washington Post, The Boston Globe, and other venues. 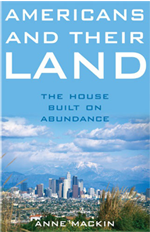 Her fascination with the complexities of land and resource use in the U.S. culminated in Americans and Their Land (University of Michigan Press, 2006), a history that critics lauded as an "invaluable primer" that sheds "gentle wisdom" on the conflicts behind the headlines. Anne and her husband of 26 years live in Boston, in a nest currently emptying of two fledglings. Discover how historic habits of land and resource distribution have shaped our current decisions about who gets what in America. Is our Democracy fatally flawed or can we legislate remedies? Copyright: Anne Mackin. Design: Thumbtack. Powered by Blogger.